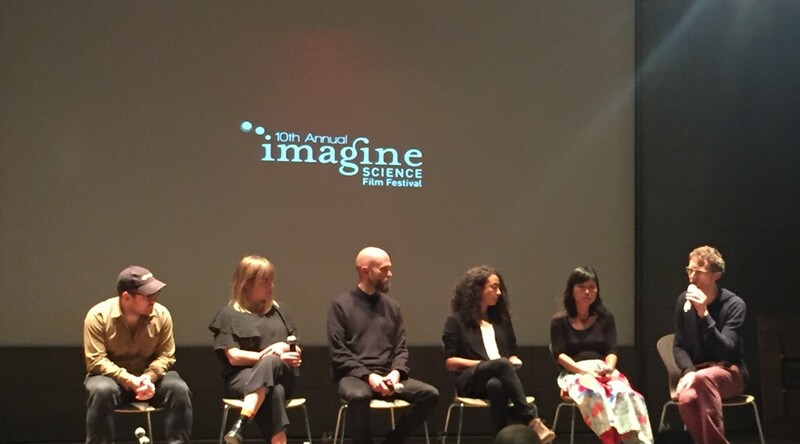 The Virtual Science Storytelling panel, hosted by VICE co-founder Alex Pasternack, featured pioneers from both scientific and artistic disciplines who have taken the VR medium and used it in a unique way. On the panel was Pohjankonna Oy, a group of Finnish scientists specializing in biology and video game designers. Their work with VR allows users to see the biological functions of small animals, such as mice and caterpillars, from the inside. Using a VR headset, one could theoretically “walk” through the breathing tubes of a caterpillar. Scientists from NASA were also present, displaying their work in creating a 3D model of the surface of Mars, made of photographs taken by rovers such as Curiosity that one could explore through virtual reality. “VR makes sense, especially for the Mars mission, because you can be transported to a world we can’t stand on quite yet,” said the optimistic Sasha Samochina, one of the developers behind the Access Mars VR experience. However, not everyone present was a scientist; Momoko Seto, an independent artist, used VR to transport viewers to experiences that combined our world with worlds from her imagination. Seto and her team filmed and photographed fruits and vegetables as they rotted, fungi as they grew, and species of animals as they interacted amongst themselves. She then transposed those videos into a 3D setting that could be experienced through a VR headset. Winslow Porter of New Reality Co., a Brooklyn-based media company, also made films with political undertones. Among his company’s works is Giant, which takes the viewer to a basement in Serbia 1999 during the NATO bombings to watch how a family explained to their young daughter what was happening. New Reality’s piece de resistance was Tree, a VR movie told through the point of view of a tree that explores humanity’s treatment of nature and each other. Not only did they use stunning graphics, but they also used sensors that attached to the chest and hands to give the viewer a more in-depth experience. At the conclusion of the panel, the audience was treated to refreshments in the Gelman Foyer and to LL110 where they could experience the works presented by the panelists themselves. The room was full of curious people eager to explore Mars for themselves or experience the life cycle of a tree growing in the Amazon Rainforest. Other presenters who did not take part in the panel showed their VR creations, as one group demonstrated how VR could be used in the field of medicine by showing 3D models of internal organs. The event not only demonstrated the versatility of the VR medium, but also demonstrated the creativity of the people behind the projects. Each group pushed the medium and used it to tell the story they wanted to tell in a creative and immersive way that left a lasting impression on the audience.